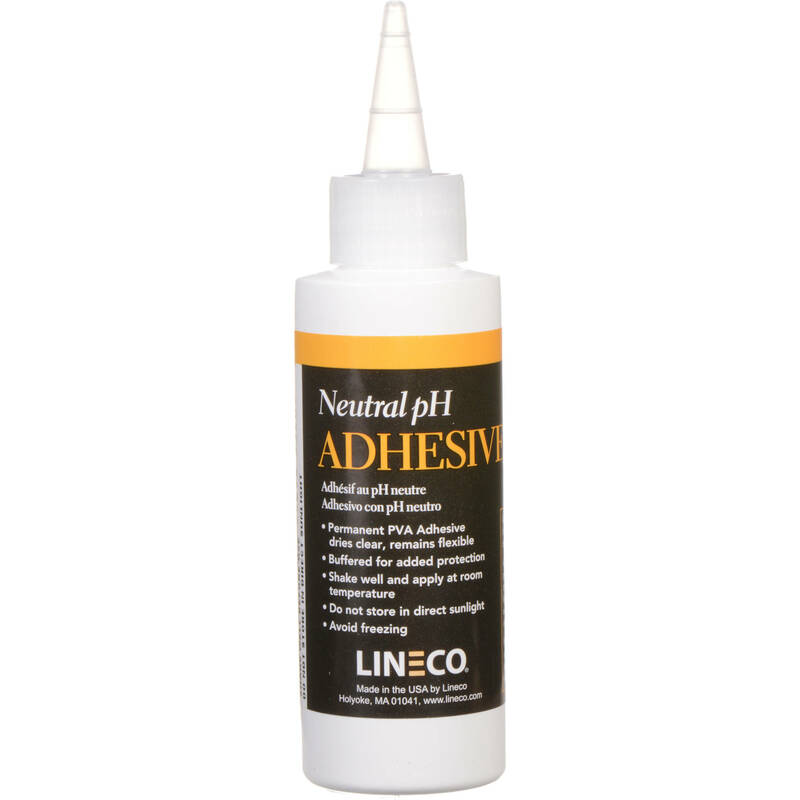 Lineco White Neutral pH Adhesive can be used for a wide variety of crafts projects - and then some. Whether for bookbinding, collages or framing, the quick-setting formula won't spoil with age. The adhesive is a neutral PVA formula that can be re-moistened with water making it a viable choice for most artwork. This item cannot be shipped during the winter months since there is a chance it may freeze. Note: Not recommended for attaching hinges to art.